A favorite market-related book of mine is Hedgehogging by Barton Biggs. If you haven’t read it, I highly recommend you do so. It’s excellent. One of the many entertaining stories Biggs shares in the book is a conversation he has with a very successful Macro Fund Manager, named “Tim”.Tim shares with Biggs a key pillar of his approach to markets, which I’ve included below (emphasis by me). Tim works out of a quiet, spacious office filled with antique furniture, exquisite oriental rugs, and porcelain in a leafy suburb of London with only a secretary. My guess is he runs more than $1 billion, probably half of which is his. On his beautiful Chippendale desk sits a small plaque, which says totis porcis—the whole hog. There is also a small porcelain pig, which reads, “It takes Courage to be a Pig.” I think Stan Druckenmiller, who coined the phrase, gave him the pig. The last few weeks I’ve been writing about the abnormally low volatility we’re seeing across a number of major macro instruments. 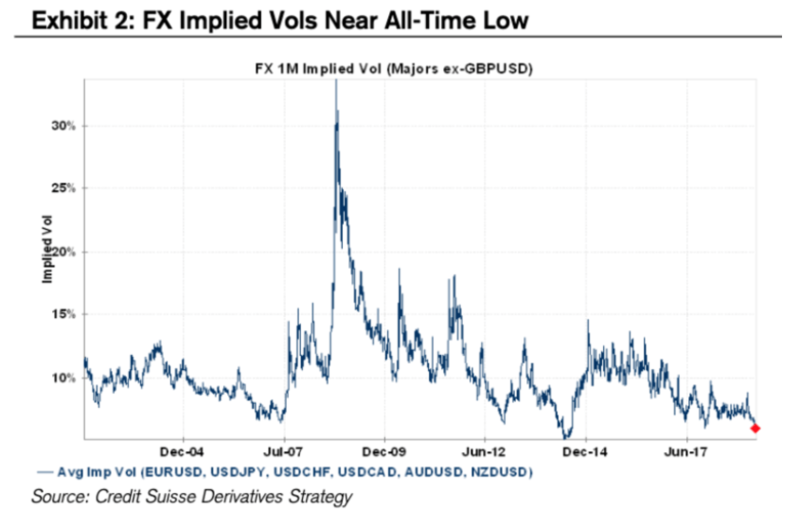 Implied volatility in the major FX pairs (ex. GBP) is near ALL-TIME lows. 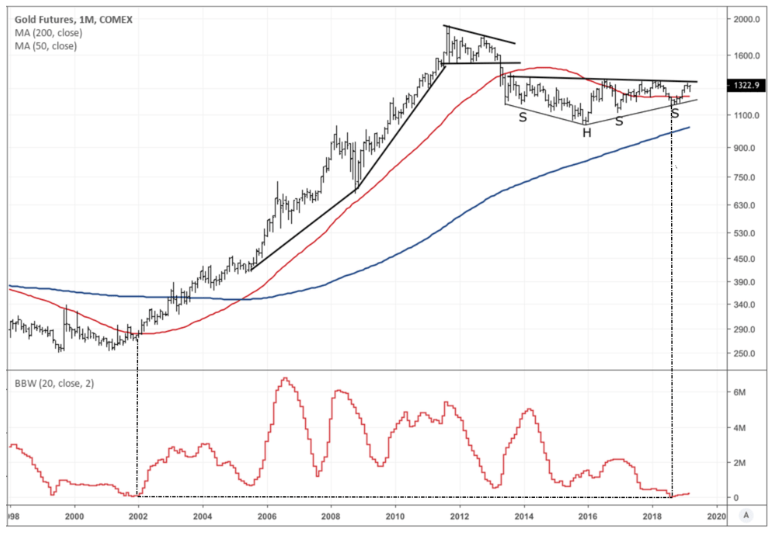 Volatility in gold as measured by the width of its monthly Bollinger Band is at levels last seen over 17-years ago, in 02’ right before the barbarous relic began its decade-plus run. Markets tend to work like rubber bands in a way. The tighter they’re wound up, the more explosive they unravel. In other words, compression regimes lead to ones of expansion. And the size and velocity of the move often mirror the preceeding level of contraction in vol. There are logical reasons for why this occurs (it has to do with positioning and narrative cascades). It might soon be time to go Totis Porcis. Tomorrow I’ll be sharing a write-up on one of these potential major macro trends I’m looking at. If you want to trade right alongside me when I go whole hog later this year then check out the Macro Ops Collective. I’m extending the enrollment period until this Friday because a number of you missed the deadline and still wanted in. There’s a TON of opportunity on the horizon and I don’t want anyone to miss out.